Spring time means baby season to me, and one of my favorite things to do is to go around and discover nesting birds and animals. Everywhere I go I look and hope to find a mama tending to her nest. I was in Merkle Wildlife Management area with my reflecting ball and heard some rustling inside the barn. It didn’t take me much to sneak in there to see what it was. There was a side window and a Black vulture was in it. Clearly it was what I had heard moving around in there. The bird took off and I thought that perhaps she was trying to distract me from something. 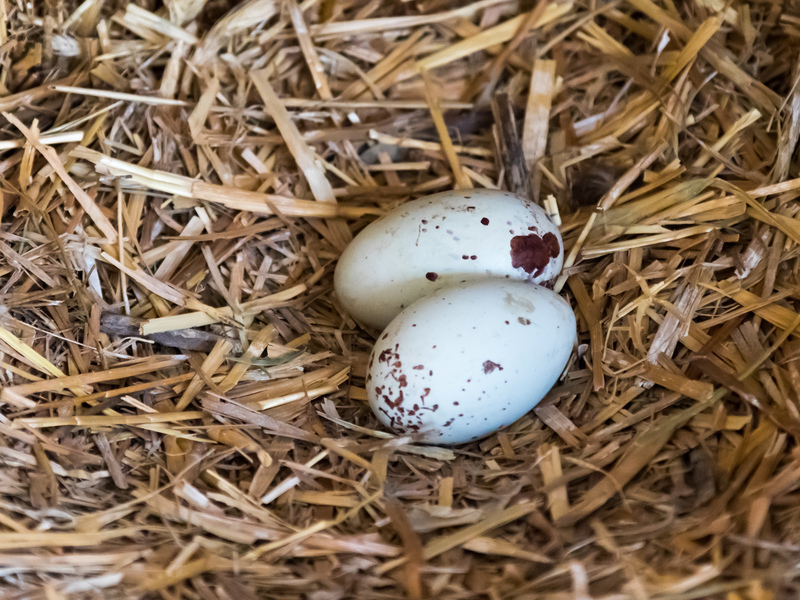 Sure enough, tucked inside a pile of straw bales was a set of eggs. 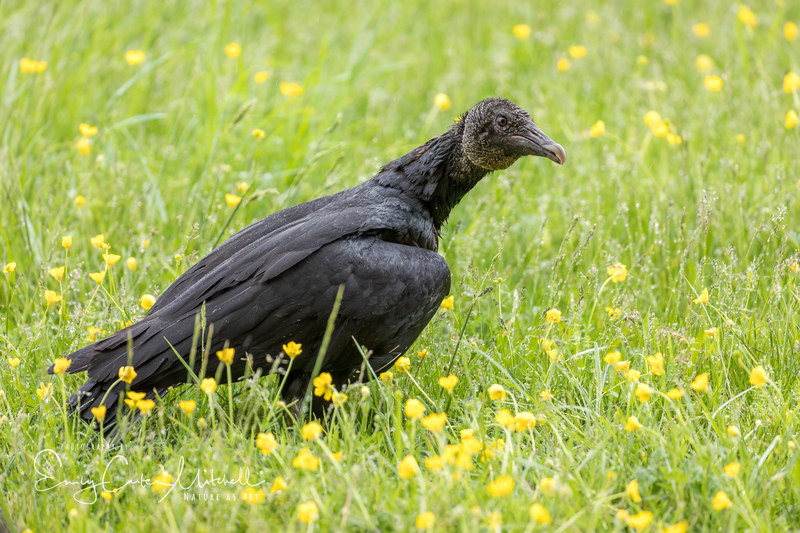 It didn’t take me long to figure out the eggs belonged to the Black vulture and of course I’m excited as I’ve never seen baby vultures before. Conducting and estimated guess as to when they would hatch I went back this week to check on the nest. Off flew mama, so that s a good sign. I knew I had to work quickly to as to minimize the disturbance, so I had my camera already on a tripod and had a flashlight in my hands. Shining a light over the nest, lo and behold ~ Vulture babies !! I grabbed a few images and quickly departed. As with any nest check, it should be as quick as possible with no or minimal disturbance to the little family. There is actually a website that helps track nests and has a criteria for nest monitoring. Nest Watch is managed by the Cornell Lab of Ornithology. Anyone can participate in Nestwatch and you can link through and register and also become a nest watcher. It’s time for me to update several nests that I’m keeping an eye on, the least of which is Zorro and Esperanza. May you have a lovely spring day. What a lovely find~~and your photos are much appreciated, Emily. 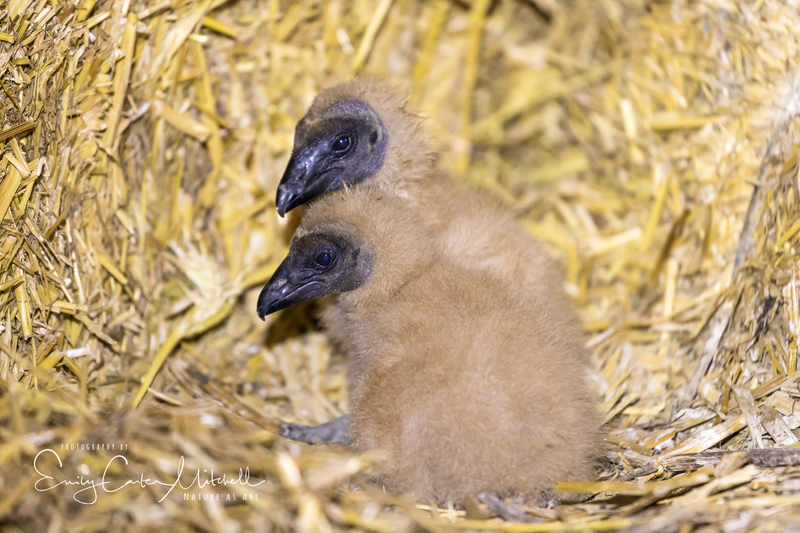 Vulture chicks, when they get a little older, do this hissing thing that is most memorable. LOL ! they were hissing all ready. Kinda creepy. Thanks Jet. Wow, Emily! What a privilege to see that! Once again, your endeavour has paid off. May it long continue to do so. As long as I can go – I will explore. As you will do Fatima. Thank you my dear friend. Honestly, I think they’re adorable. I’m tending bluebird and swallow’s nests on nestwatch now. It is fun!